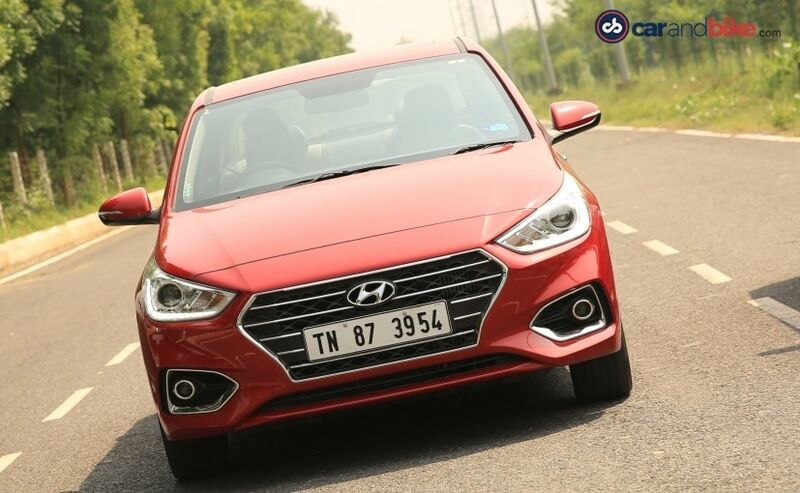 The new generation of the Hyundai Verna replaced a car that once ruled the sales charts but had lost steam off late. It now takes on a hotly contested segment with 8 models in the market. But its really two key rivals that truly matter. 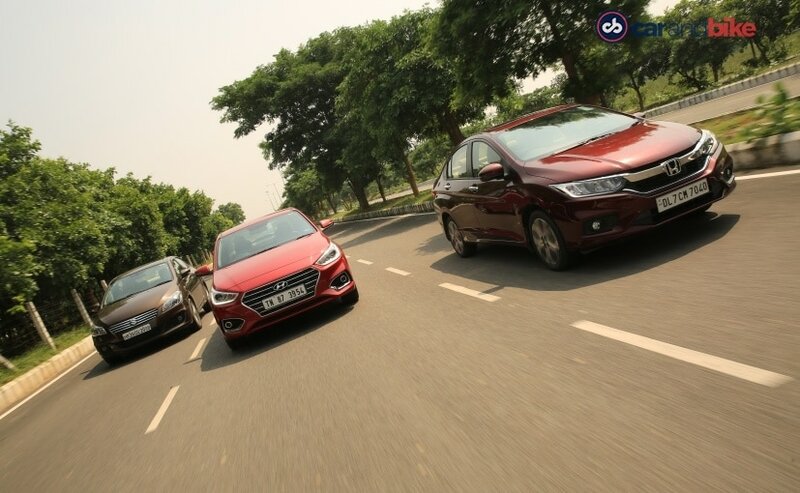 And so when Hyundai launches a new generation Verna - we simply had to pit it against its fierce adversaries - the Honda City and Maruti Suzuki Ciaz. Much has been said about the City - which recently crossed the 7 lakh cumulative sales milestone in India. The undisputed leader, the king, the benchmark - epitaphs like that have faded off late as the City has been facing the heat from others. The car looks contemporary now, ever since a facelift earlier this year, and even has daytime running lights. When the Ciaz first arrived, buyers loved its ample size, great value and the then-incentivised SHVS system. But the Ciaz doesn't quite look the part anymore, and it isn't looking as modern as it should. And even though it is visually the largest car of the three, it has started to look really dated and is crying for a drastic facelift. Which then brings us to the Verna. We have already reviewed the car and it has just racked up 20,000 bookings in its first 5 weeks since launch. I won't go into details about its styling, but suffice to say that while it isn't necessarily pretty, it is definitely modern and contemporary looking. But the question has to be asked, when you are switching to the K2 Platform, which also houses the Elantra, why couldn't you go a little bit big to really take down the Ciaz? I will always wonder about that since Hyundai has no answers! 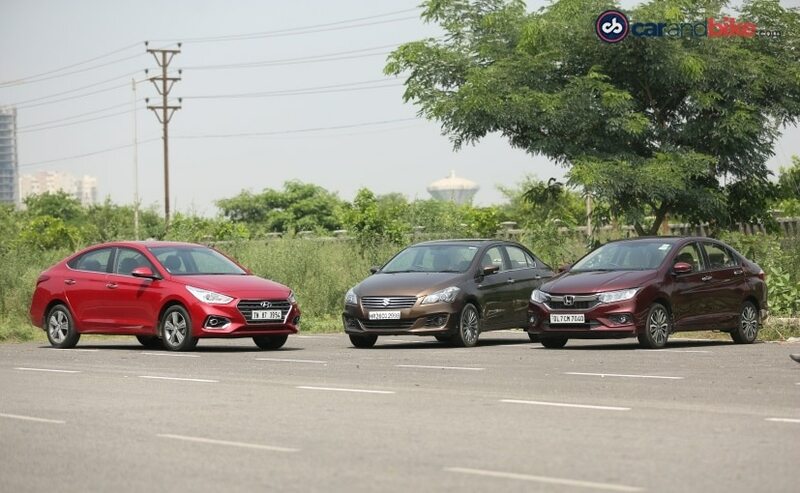 So its clear that the Verna looks the part and is also clearly the most powerful across both engine types amongst these three. The Verna is also the only one to give you automatic options with both fuel types, and unlike the past it's a better 6-Speed autobox on both. The City though looks very modern in its design, and like the Verna has DRLs. The Ciaz holds out as the largest - very apparently so as I said. The Ciaz has been popular mainly due to its ample cabin space and the SHVS or smart hybrid system on the diesel. Not only did this offer a slight bump on the mileage but also had an attractive price tag while the car enjoyed the government's taxation incentives I was referring to. The problem now is that this car has been around for a while and now it's turning into the grand old lady of the segment. Maruti needs to think about what it wants to do because even when it moved the car from its regular network to Nexa, we didn't get the long delayed facelift. Neither did we get any structural or technical changes. That is all now long overdue even though its been consistent bestseller for a while this year. So the Ciaz is losing steam then - and fast. Its move to Nexa though has only seen its brand strengthen. So anything new on the Ciaz front will certainly help that stay strong. Now on to the erstwhile benchmark - the City. There is a certain comfort and familiarity in driving the City that hasn't gone away. When this new gen first came out 2 years ago, I remember saying it has not made a huge leap from the previous car. So yes while it does its job, the only problem is the ride quality - especially when you are sitting in the back. That's something that the Ciaz heavily scored on and which is one of the reasons it probably went ahead. The Verna enjoys the advantage of being the newest generation of the three. It is also a more global model now than before and so it gives you better build and a stiffer chassis. The old Verna and the new Verna are like chalk and cheese. It is not like the previous car was really bad to drive; it was quite good and reasonably sporty. But it was always getting bested by a lot of other cars when it came to sheer driving performance. And I think that's the one area that is a huge improvement, since now the new car is fun to drive. So the Verna scores big time on its ride quality and even the engines it has on board. But the chink in its armour is interior space. The Verna's move to a larger platform really could've meant a much larger wheelbase as I said earlier. But having said that the cabin is still bigger than the last Verna's. You do get rear AC vents, a rear phone charging point, a much comfier seat, and a bunch of features including ventilated front seats, start stop button with keyless entry, and even a sunroof. The central console has the climate control and a 7" touchscreen with Apple CarPlay/Android Auto/Mirror Link, navigation, and an Arkamys sound system. 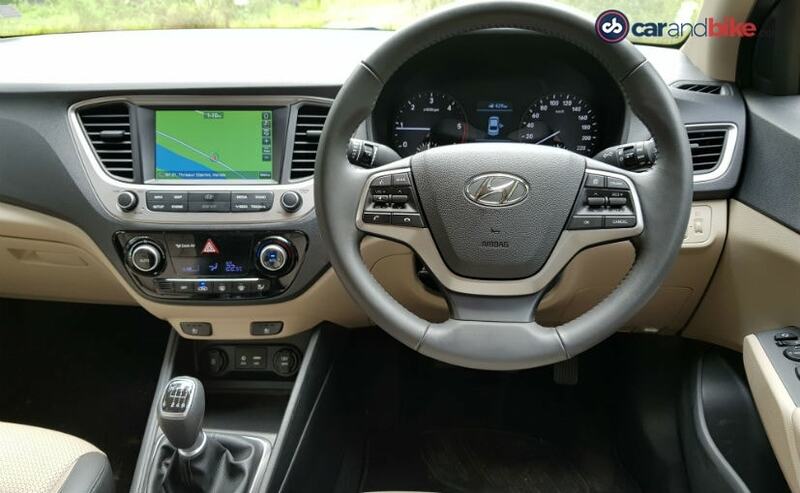 You can control the music through Hyundai's iblue smartphone app, and the top variant also gets Auto Link, which lets you check on your car's status remotely. It also connects you to roadside assistance. The instrument cluster has a display screen with lots of functions including the trip computer, settings for displays, and the car's boot has the Smart Trunk feature. Good material quality inside the cabin, with good plastics strengthens the Verna's appeal. Safety gets a bump up too, with dual airbags and ABS being standard. The City has a fairly modern looking cabin too, but misses out some features. The touch panel control for the climate control system is cool though. It does get a Start Stop button with keyless entry, navigation, and phone connectivity. But no Apple CarPlay or Android Auto. However it does come with a Mirrorlink connectivity option. Dual airbags, ABS and ISOFIX are standard on the City too. The seats are reasonably comfortable and you do get rear AC vents. The CVT also gets paddle shifters. The Ciaz matches the City almost feature for feature, and it too gets dual airbags standard. But the advantage the Ciaz has is its huge legroom at the rear. It works best of the three as a chauffeur driven car. Its touchscreen is a carryover from other Maruti models and does get Apple CarPlay and Android Auto, besides navigation. The interior layout though is a bit dated by comparison and does not come across as modern. And that brings us to the prices. 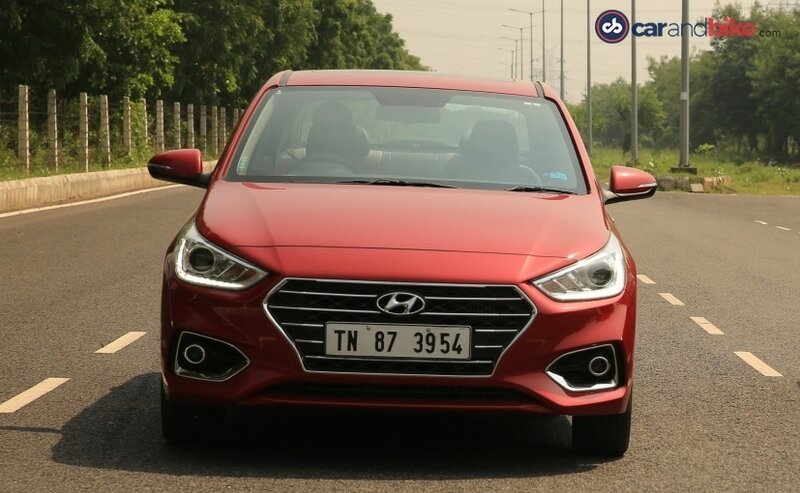 Hyundai launched the Verna with killer pricing, and had warned the prices will go up after it sells the first 20,000 units. That has happened and as of now Hyundai isn't talking about raising prices - possibly not until January 1 2018. The car is already a hit, and it has beaten the City and Ciaz in sales for both September and October. The City and Ciaz remain good value, but the Verna does offer way more bang for the buck, variant for variant. It also feels a bit more high end, has the better ride quality. And so it is without any hesitation that I crown it the outright winner in this segment. The Ciaz's great sales and roomy cabin run notwithstanding, the City comes in as second. 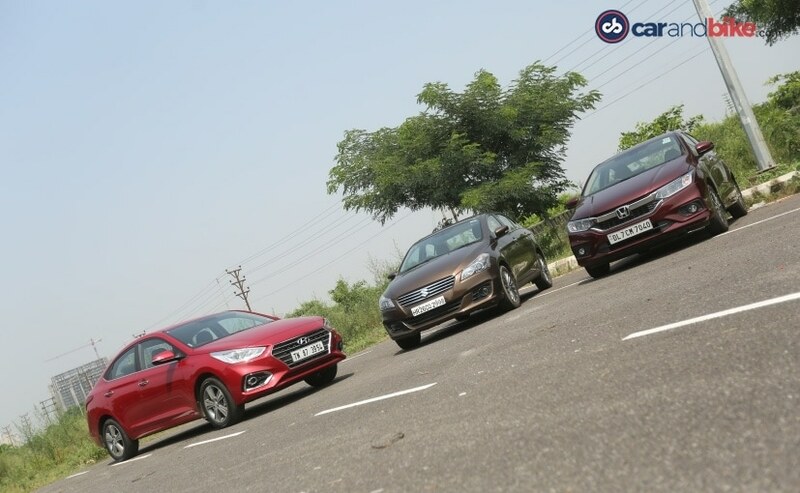 The Ciaz will get a booster shot if and when Maruti finally carries out that much needed facelift - inside and out - and no the Ciaz S with its forced trunk spoiler and skirts is just not enough to meet that requirement. 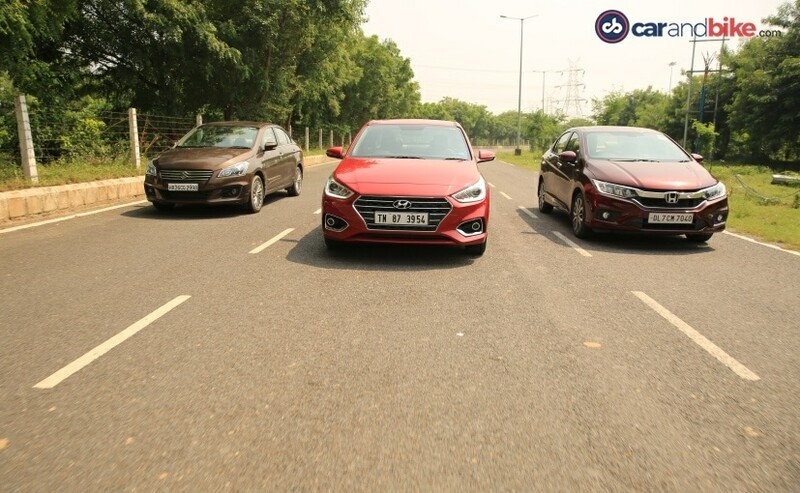 So the Verna wins our compact sedan shootout. And given Hyundai's very clever strategy to offer a great package on performance and comfort, it was really not a huge surprise.